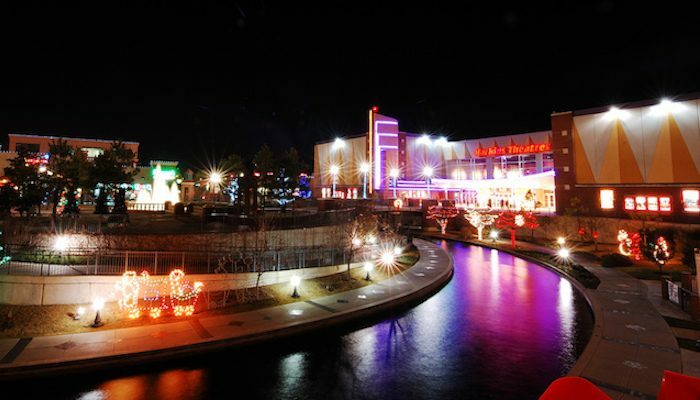 Bricktown is one of the hottest districts in Oklahoma City, known for a classy nightlife, repurposed warehouse buildings, and a pretty canal speckled with water taxis. Runners can enjoy this popular neighborhood on foot, thanks to the nicely manicured Bricktown River Walk Park along the canal. The south end of the park has paths on both sides of the river. Closer to town, the path runs only along the north bank. A loop around the canal is about 2 miles, but runners can score bonus miles by connecting to the Oklahoma River Trail, or setting out on the many sidewalked streets surrounding the Oklahoma City Dodgers Stadium, and the brick-laden Oklahoma Ave.